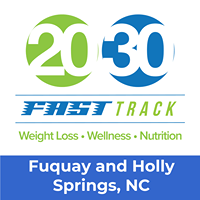 Join fellow chamber members for coffee and sweets as you hear from the Breakfast Eye Opener Host, 2030 Fast Track Weight Loss & Wellness. Attending our Breakfast Eye Openers is an excellent way to stay informed by learning more about a fellow Chamber Member's businesses as well as a variety of topics from the event guest speaker. Event starts promptly at 8.